The fourth west coast version of the PRF BBQ. SUBMISSIONS ARE NOW CLOSED AS OF MARCH 1st! 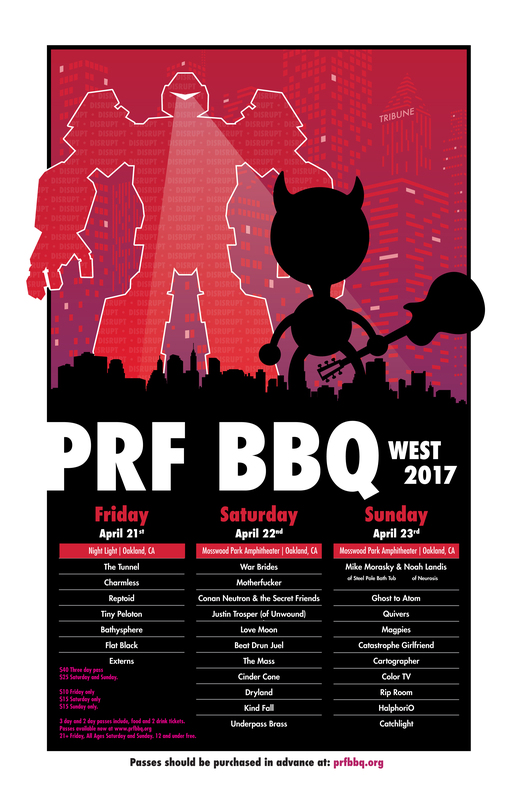 The fourth west coast edition of the PRF BBQ. Saturday – April 22nd – Mosswood Park Amphitheater, 3612 Webster St, Oakland, CA 94609, noon – 8. Sunday – April 23rd – Mosswood Park Amphitheater, 3612 Webster St, Oakland, CA 94609, noon – 8. 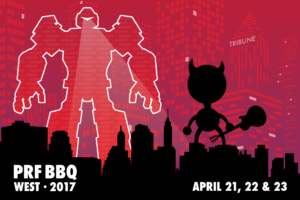 It’s $40 for the whole weekend, but that includes food and 2 drink tickets. Passes available on March 1st. 21+ Friday, All Ages Saturday and Sunday.